Jiro Ono, master chef and owner of Sukiyabashi Jiro recently celebrated his 89th birthday. Yesterday it was announced that the Japanese government is awarding him with a special honor for his contributions and hard work as a sushi craftsman. 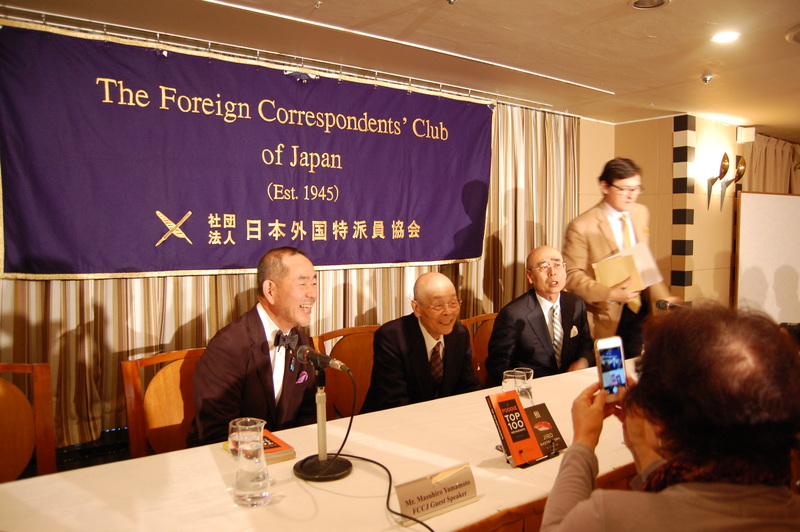 Today there was a press conference at the Foreign Correspondents’ Club of Japan and here are just some of the juicy bits. 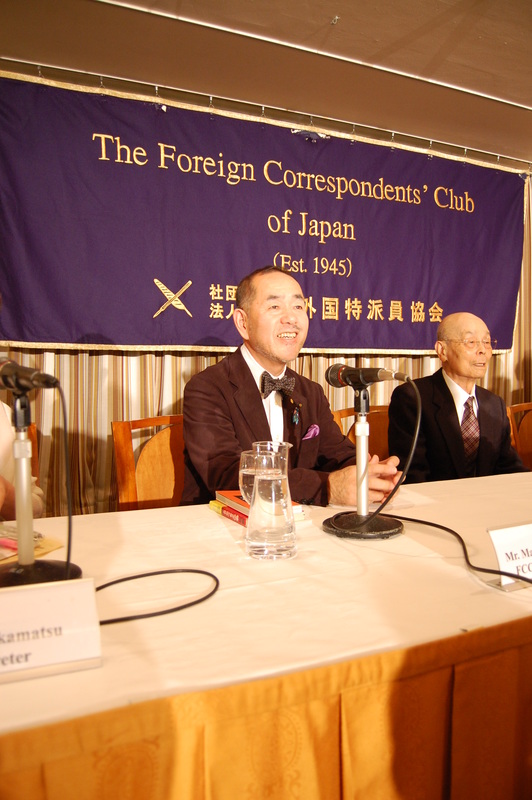 In attendance was food writer Masuhiro Yamamoto, Jiro Ono, and his eldest son, Yoshikazu Ono. Jiro started working in a kitchen at the age of eight, so he has been in this craft for 81 years. Yamamoto said that Jiro is still far from retiring. Jiro was awarded a distinction, similar to a Living National Treasure, when he was 80-years old. This new award is not usually given to individuals but to groups, so this new award is very unique. Yamamoto-san said that he believes that Sukiyabashi Jiro is the cleanest restaurant in the world. He went on to say that Jiro says 50% cooking and 50% cleaning. At Sukiyabashi Jiro Yoshikazu will cut the seafood and Jiro will form the sushi in his hands. This is how it is done now. Regarding standing all day for work, Jiro said that since he started working in a kitchen from the age of 8 he was too busy to do his homework so at school he was constantly being made to stand in the hallway, so he’s used to standing all day. The movie, Dreams of Sushi, had a big influence for Jiro. That before the movie he was famous in Japan, but since the movie he moved into a cult-like status. About 70% of the diners at Sukiyabashi Jiro are foreigners, so for some Japanese dining there they say that it doesn’t feel like they are in Japan. Jiro believes that part of truly enjoying sushi comes from eating it properly. 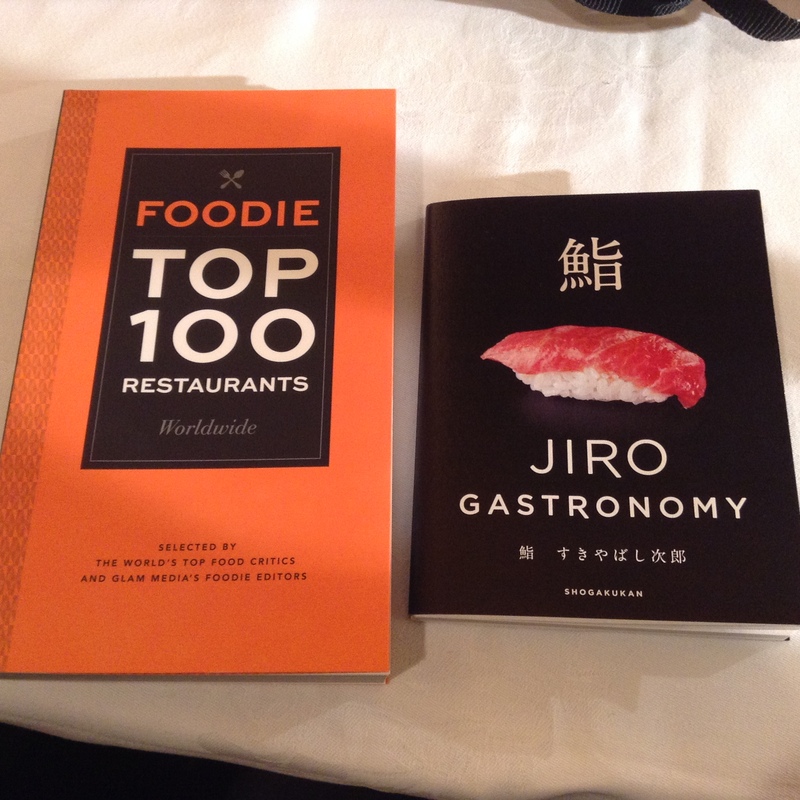 For this reason, he teamed up with Yamamoto to write a book, Jiro Gastronomy. There is a section in the book that describes how to properly eat sushi. Jiro is an innovator. For example, Yamamoto said that in the past shrimp was boiled in the morning and then served to the customer later in the day, but that Jiro will wait until the customer has arrived until boiling it. Yamamoto also used the example that 30 years ago sushi courses usually started off with tuna, but that Jiro started serving white fish like flounder or sole before moving onto tuna. Very interesting fact-checking on President Obama dining at Sukiyabashi Jiro. The restaurant opened for Obama and Abe only after the regular customers finished their meals, so no customers were told they had to give up their reservations. The left-handed Obama is very good at using chopsticks. Obama ate all of the omakase sushi course. Some rumors were saying that Obama had only eaten a few pieces, but this is not true. These are two books that were given out to journalists at the press conference. I will include these in a blogpost so stay tuned.